IdeaGist has reached close to 50,000 users, growing 100% every year for the past four years. We would like to hit 50,000 users mark with a special gift of 5,000 Gist Points to the 50,000th user and 5,000 points to the person who invited the 50,000th user. We also have doubled the points for friends joining you on IdeaGist. 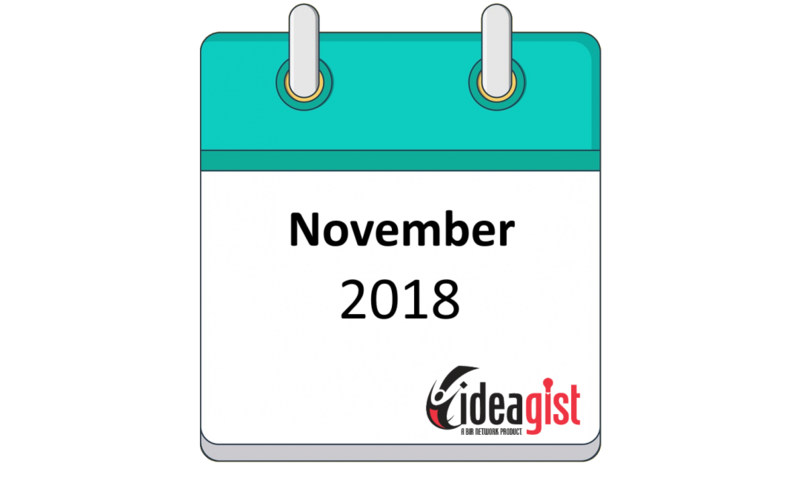 You will get 20 Gist Points when a friend that you invited joins IdeaGist. You can get up to 400 points in total for the first 20 friends joining you. IdeaGist Blockchain Incubator/Accelerator will become an independent company in December. All founding members will be able to convert their Gist Points into the shares of the company at 10 points to one share conversion. November 30th is the cut-off date for Gist Points conversation. December 5, 2018 – Join our free webinar on 7 emerging technologies that are disrupting our future today. IdeaGist users will be able to exchange Gist Points with select Cryptocurrencies. We are in the final stages of starting the exchange. You will be able to initiate the exchange through your Gist Points screen. You can check your balance and see all your Gist Point transactions by clicking on GP Balance on the profile page or from user dashboard. You can earn Gist Points in many different ways. Please click on “Rewards” menu from left to get rewarded for a few simple tasks. If you have expertise and experience that could be useful to entrepreneurs, you can offer help in return for money or Gist Points. Click on “Accounts Setting” menu on the left and select “Expert Consulting”. Every user on IdeaGist platform has access to our global resources portal. Log in using your regular id and password.